You can never have too much storage. The 64GB the Miix came with seems like plenty for a tablet, and it is – with some limitations. As delivered with Windows 10 installed (plus VMWare Workstation Player, but no Virtual Machines) available storage was already down to 37GB. Shortly after taking the tablet out of the box Windows 10 did a forced update to the 1511 release. That’s fine, but since it archives the old version for 30 days in case a roll-back is needed the Windows.old files take up 20GB. That doesn’t leave a whole lot of space for anything else. Windows.old can be manually deleted via disk cleanup but that risks not having it available if needed. It’s even possible that a Windows update won’t run due to lack of available space. There’s some discussion on the web indicating that external storage can be used for Windows.old in that case – but that’s beyond the scope of this article. I intend to run virtual machines on this tablet (more on that later) and those can take up major space. Mine run between 3GB and 15GB or so and those, along with cat videos and other media files can really eat up available space too. A uSD card – I’ve installed a 64GB SanDisk – can help with the media and other data files but isn’t really appropriate for applications and virtual machines. 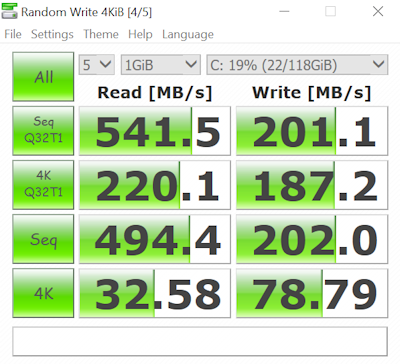 Here for reference are performance numbers taken from the stock SSD and two after-marked 128GB SSDs when installed in the Miix. 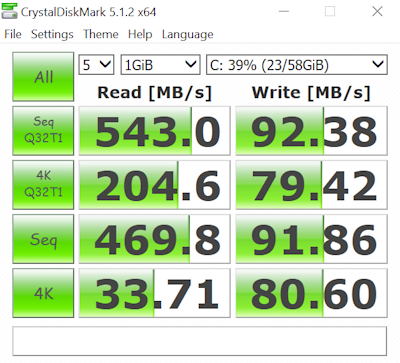 All are m.2 SATA in a 2280 form factor. 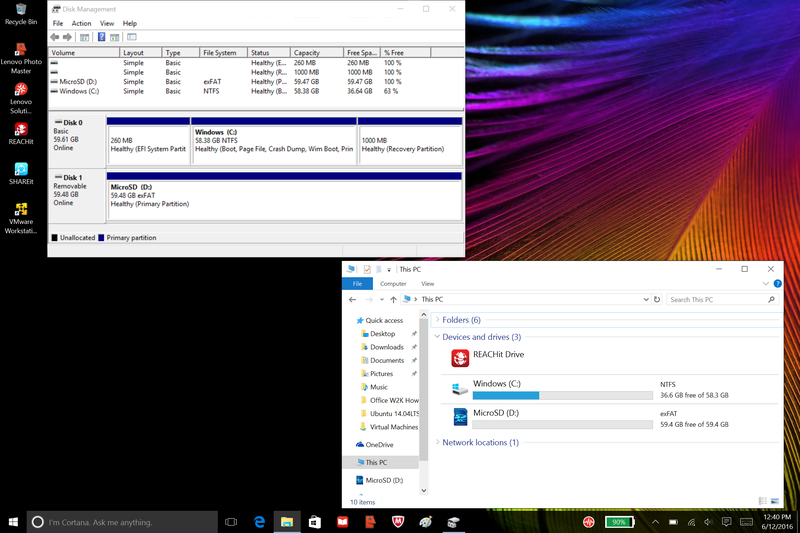 This kind of testing is be a little “iffy” since Windows 10 can be up to things in the background. 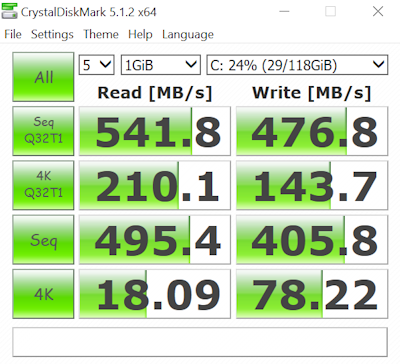 Performance testing done with Crystal Diskmark. NOTE the installer version includes adware. The stand-alone version does not. Read performance is roughly similar but write performance varies considerably.